Upload Your Cat Pictures To Pictures of Cats org! 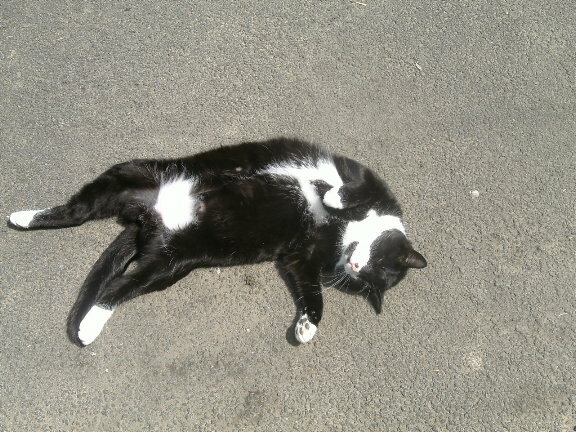 ← What breed is my pet shop cat? 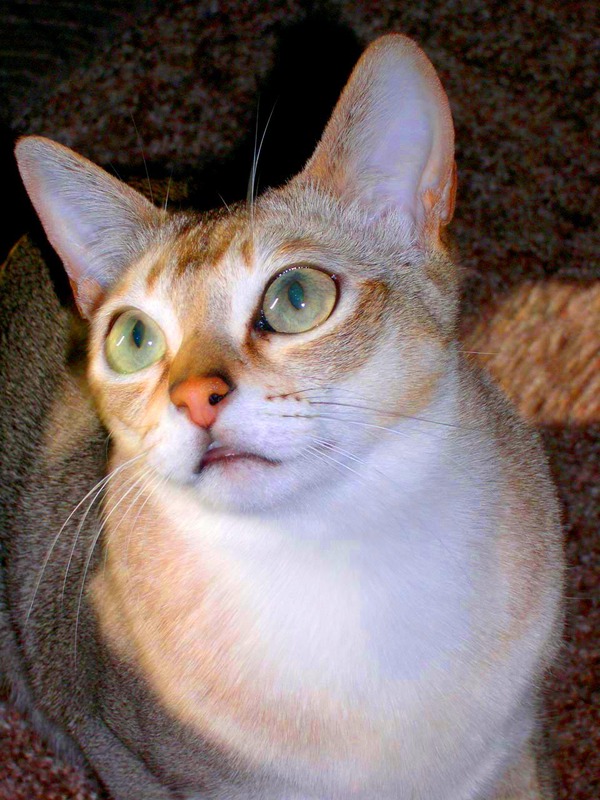 You can now upload a photo of your cat to PoC in comments. When you make a comment to an article, whatever the topic of the article, feel free to add a picture of your cat as a little bonus. Your comment can be a few words. It will still earn 5 cents for charity under PoC’s charity donations scheme and it gives you the immediate option to add a picture of your cat. People who have written comments before will see their comment published immediately. People who are making comments for the first time will have to wait a bit before their comment is published but for the next comment or comments you’ll see immediate publication. We want to see your cat! I confess, I want to see your cat. I love seeing other people’s cats. Every cat is special. 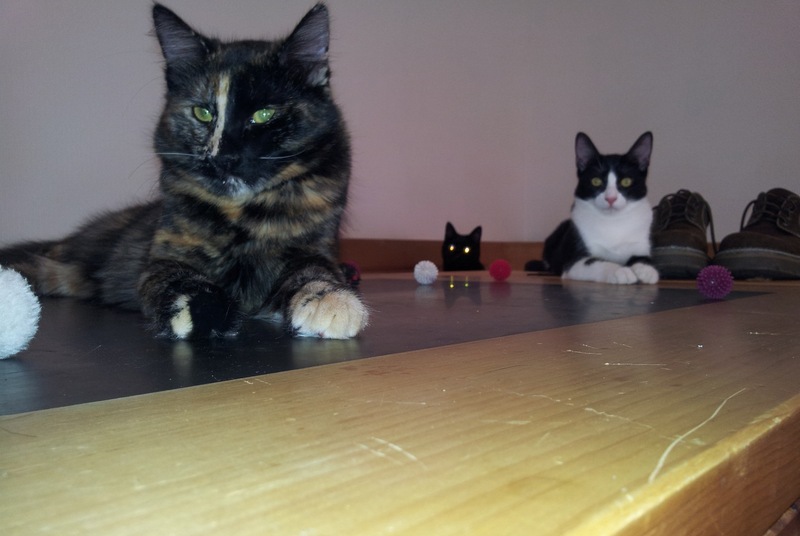 Personal photographs taken by cat caretakers are always interesting to me and others. They are interesting because they are personal. They are friends and companions to people. It is real and alive. 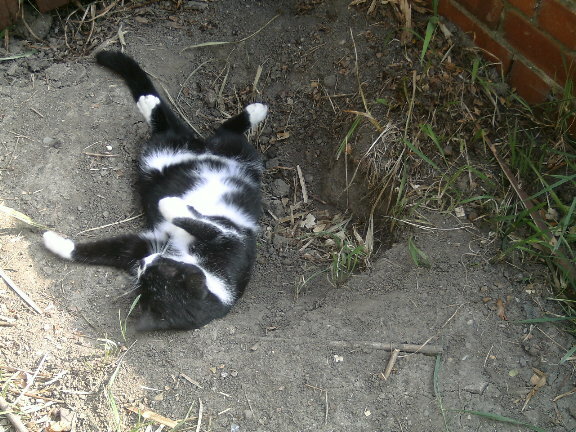 This entry was posted in ailurophile, Cat photography, Human to cat relationship, Pictures of Cats and tagged cat photography, Michael Broad, pictures of cats by Michael Broad. Bookmark the permalink. Your picture is too large again. Very sorry about that. You should reduce the size of your picture to about 500 pixels across maximum. Thanks for trying anyway. 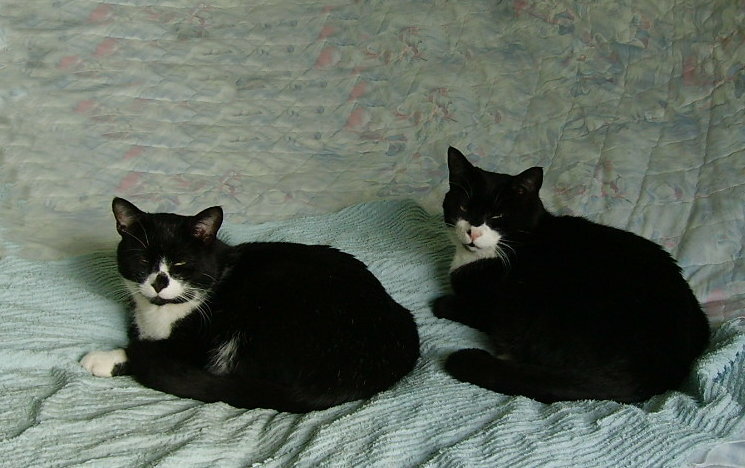 I would love to see your Manx cat, unfortunately the photograph that you tried to upload was a little too large in terms of the file size and therefore did not upload. If you look just below the comment box you will see a link to a page which tells you how to reduce the size of the file. It is very simple to do this and I hope you do it. Thank you for visiting. This is my sister’s cat Kobe. I write about him now and then. He’s a shy boy. I happened to have this picture of him on my computer. Monty would like to be his friend, but Kobe is not interested. Really – Monty wants to be his friend? Aw. He looks very sweet and gentle but that moight not be the case! Kobe is very territorial. He came with the house and shared the apartment he now shares with my sister with another cat, a dog, a baby and two very social young humans who had many visitors at all hours. The other cat dominated Kobe, not letting him eat or use the litter box. The dog chased him. Kobe spent most on his time hiding in a closet. The two young humans decided to take Kobe to a shelter. We kept him when they moved out instead. He is happy living with my sister. He has the apartment to himself a lot. He sleeps on a cat tree I bought for him. He has no interest in other cats. Monty wants to come into Kobe’s apartment, but we don’t allow it. If Kobe were at the door of Monty’s house Monty might be the aggressive one and Kobe the seemingly friendly one. My sister thinks Kobe is happiest as an only cat. I don’t know if he would accept even a kitten. He’s getting quite old now. I bought him the cat tree off Craigslist from a couple of guys. It had been in their basement for years after both their cats passed away. The cat tree has obviously been well loved and used. It was musty and covered in fur, so I got it cheap, cheap, cheap. I cleaned it up on my back porch with my Rainbow vacuum and my Bissell steam cleaner (which has a hand held attachment) while Monty watched. It took two whole days to clean it up plus I let it sit in the sun for a couple of days. It looks actually better than new now. When I finally took it up to Jen’s apartment Monty was confused. “Where are they going with my new tree?” I’m sure that’s what he was asking. Kobe loves it, especially the highest perch. My sister said he gets all arrogant after he’s been up there, like he now looks down on everything and everyone. It’s given him a new perspective and he’s less shy now, less likely to run and hide. 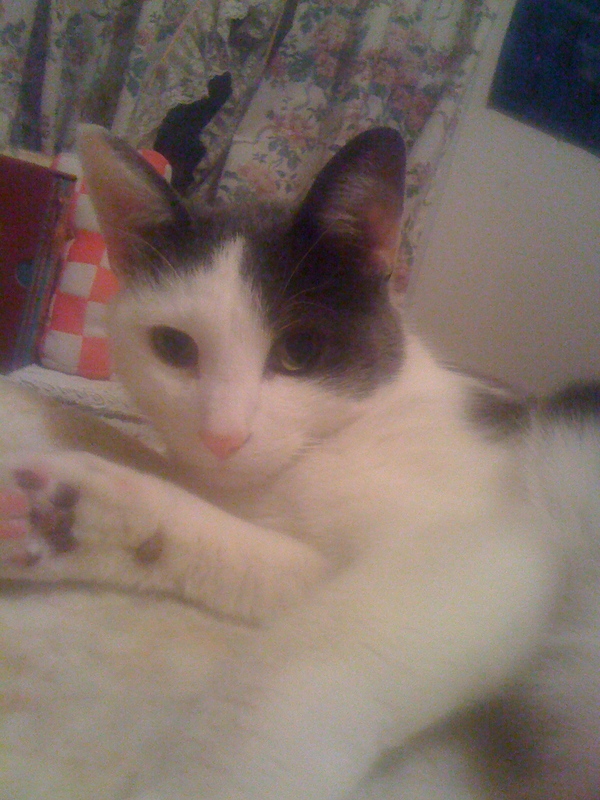 when he was a kitten he was VERY playful and as tenacious as a border collie!! Stunning boy – it’s hard to tell his eye colour from the photo but his eyes look very big and beautiful. Marc is right. His eyes are big and beautiful. Singapuras are pretty rare cats aren’t they? Nice picture. They have a delicate face too. Wow, those are some beautiful eyes– beautiful and mysterious! Oh wow. Beautiful picture. Black and white against grey. Stylish. Chilled. I wish I had been born a cat and looked after nicely rather than a human. They remind me of Monty rolling around on his stone patio. He loves it out there. 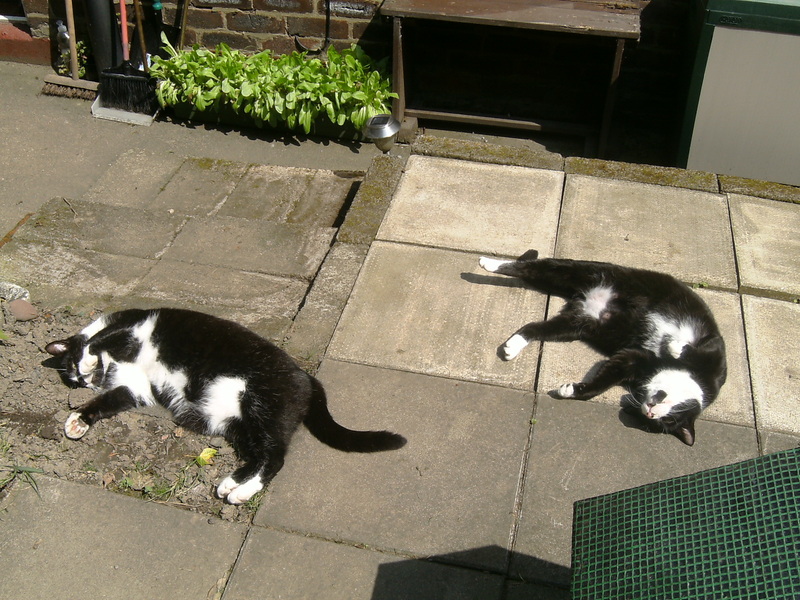 Your cats are so chilled out. They are clearly very relaxed and content. Says a lot about the human caretakers. That is the cutest cat picture ever! And I look at a lot of cute cat pictures on the internet. Jo gets the prize! Walter has a beautiful belly. Zig-zagged black and white. And white paws. You know Snowshoe cat breeders spend all their lives getting paws like that. 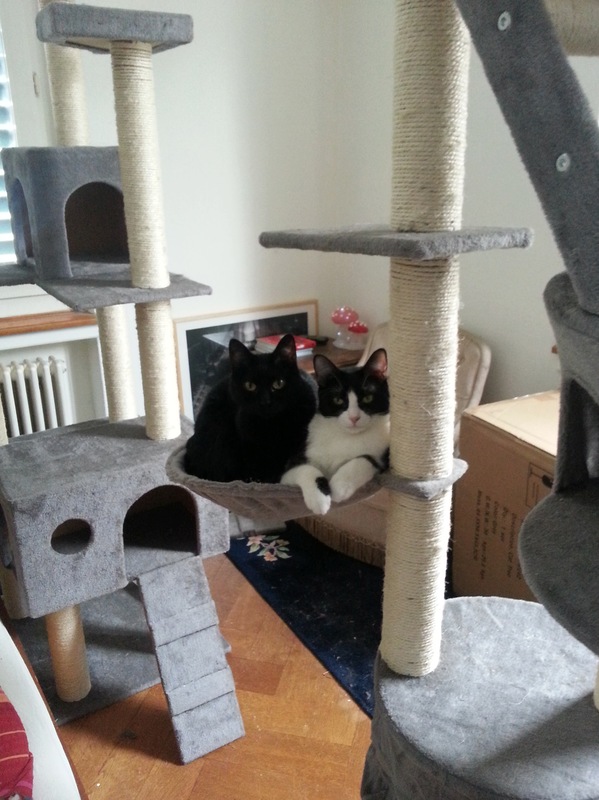 Michael you also asked about my cat trees a while back…. Phew. A fabulous cat tree. Puts me to shame. I am going to change and get something like that. I’ll create a home that is 50% cat home and 50% human home. Michael it’s a good idea – they love those little hammocks. My advice is don’t go cheap. These were cheap and I had to reinforce them because they are so rough chasing eachother up them and here in this pic you see 2 full grown cats squeezed in one hammock – well one broke so I repaired and reinforced it. Michale if you want something that actually looks nice I have a suggestion I just have to find it. Its a beautiful brand of cat trees made with real branches and little platforms that actually is beautiful – I personally love wood and natural things so they are perfect for me. They cost alot though but I think it’s worth it. Next time I go to the pet superstore I’ll tke some photos of them – I hope they still have them – they are stunning. Monty is so jealous of those cat trees. I reminded him that he does get to climb real trees. He didn’t see my point at all. That is some awesome cat furniture. They are so very fortunate to have a human like you, Marc. Wish that I knew where to get ~15cm thick-walled cardboard tubes, so that I could start building in my spare time! Wow. inspiring… it seems even better than a kids’ playground! The JeeJ is not amused. 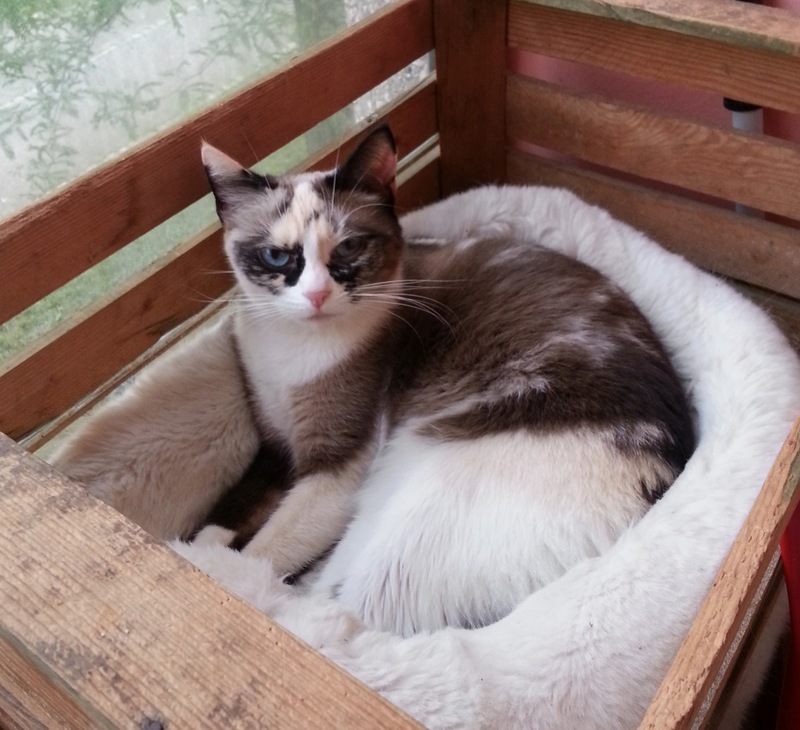 and others… this is Piki, she may eventually come to live with me – long story, her elderly caretakers cant find a place to live that will accept her so my ex girlfriend is looking after her. If it can’t be resolved I will take her permanently. ‘Piki’ is a slang word meaning ‘small’ in Slovenijan. 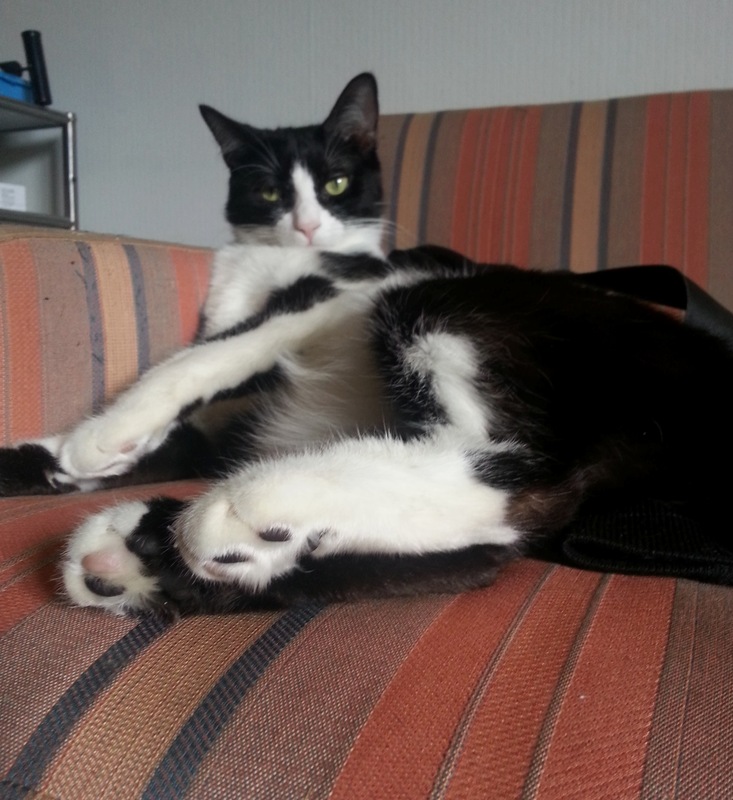 She has a wonderful character, talks a bit and is confident but very affectionate too. Pretty. Beautiful in fact. Girly. Independent. Love girls like that. Very cosy spot too. What is that spot? It looks like a tailored cat sleeping zone. I think this is a wonderful idea, I love showing off our Walter ad Jozef’s photos and I love seeing other peoples cats too. 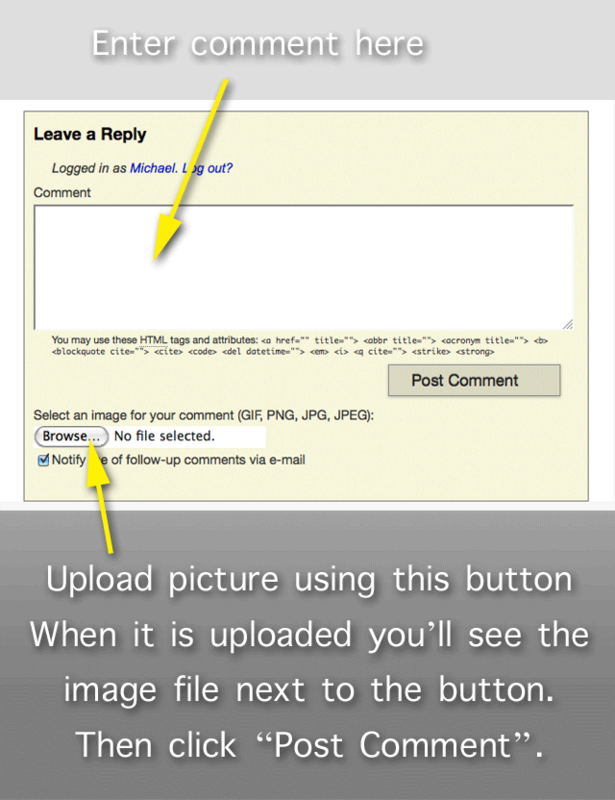 Also sometimes in a comment visitors may have a photo to share relevant to that comment, I know I often do. They are a lovely duo. So comfortable together. They remind me of my sweet Missie and her brother. Aw I love these pics of them as little tiny ones. 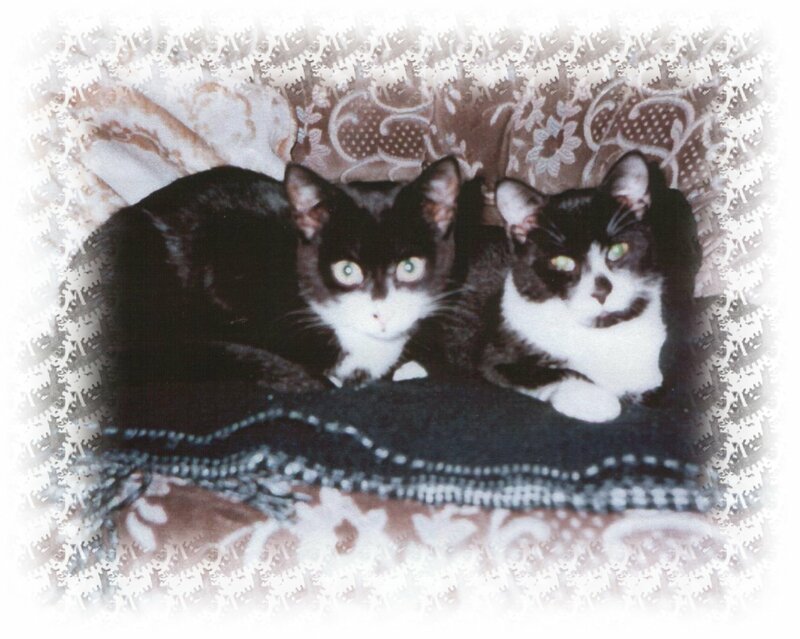 They really are the perfect couple – it’s so nice that you have these pics of them from their kitten hood. 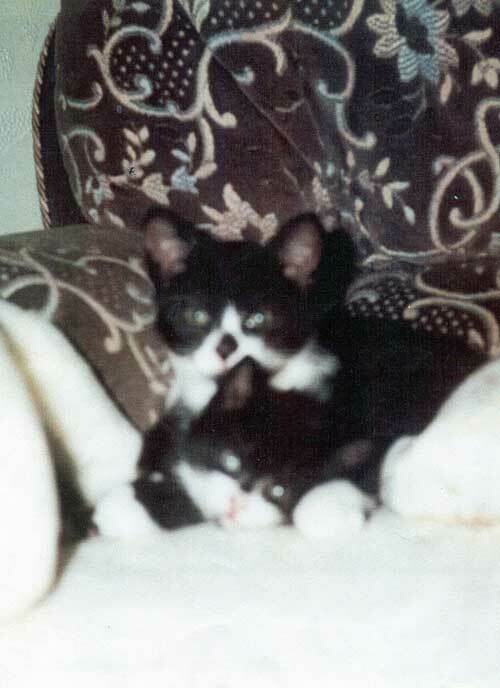 My cat Gigi in Canada and her sister Molly were with us when they were kittens but that was before everyone had digital cameras or phones with cameras so I literally have no pics of them as kittens – I wish I had taken some. I have a limited amount of Gigi even when she got older. I learned my lesson and now I always take photos of all cats and after Red my most recent lesson is always find a way to have your photo taken with your cat because you will cherish it long after they are gone. I have I think in total 5 pictures with both me and Red – all of them by chance, one a friend took – how I wish I had had more taken. So I must now make sure I have lots of pictures. I know it doesn’t bring them back but it’s nice to have them and be able to look at them sometimes. It’s like having ashes in a way – it’s a peice of them, a moment in time as well, and thoughts and feelings, memories all come with it. What about Zorro cats? The Mask of Zorro. They are a handsome duo. Solid British. Love ’em. Fine cat picture. It has character and composition. Really good looking cats. Beautiful cats, in fact. I have never cared for cats this attractive. All cats are the same though – between cats.